I remember my first conversation with an Australian. After asking my name, he asked me where I was from. In Russia, it’s not very common to ask strangers “А вы откуда?” (Where are you from?). If someone did ask me in Russia, I would say that “Я из Волгограда” (I am from Volgograd). To be honest, I’d never thought about Russia’s different parts. I told him I was from the southern part of Russia, although I didn’t know if that was helpful to an Australian. Russia, after all, stretches for thousands of kilometres from west to east and Russia is bigger than Pluto (Yes, the planet!). If you want to know more amazing facts about Russia, its culture and history, you should definitely visit our pinterest board. Of course, I could have told him the name of my hometown, but I didn’t think very many people outside of Russia knew anything about Volgograd, a modest city 1000 km south of Moscow. Today I’d like to take the opportunity to answer the question “А вы откуда?” a little more thoroughly. I’m from a city named Волгоград (Volgograd) because it is located on the banks of the Volga (Волга is the name of the river and град means city). 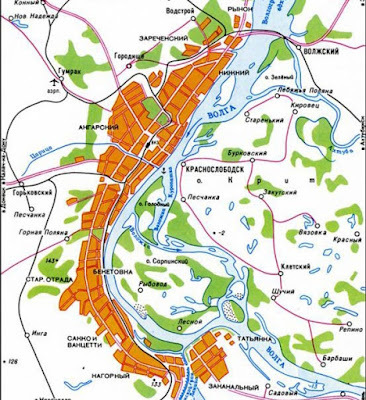 The city used to be called Сталинград (Stalingrad), which literally means “Stalin’s City”. 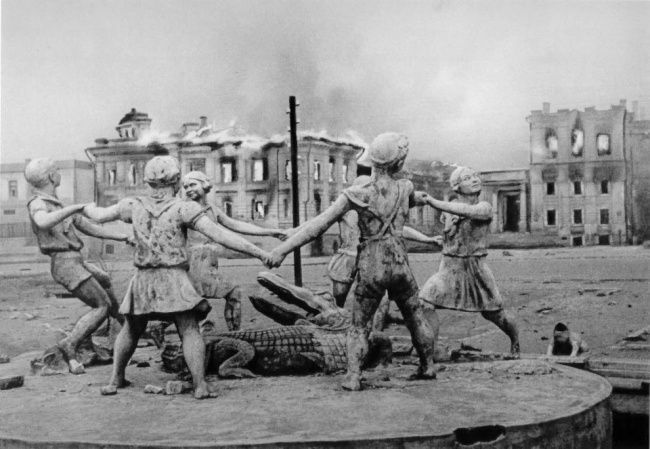 Older generations probably recognize the name and remember hearing about the Battle of Stalingrad. I’m from a city with a hot and dry summer – the temperature often exceeds +35 C during the summer - and a cold and windy winter - think temps of -20-25 C. Over the course of the year, the temperature varies by as much as 60 C in Volgograd! The hot weather might be a surprise to some, but it’s not always cold in Russia. There are just a lot of big contrasts between summer and winter. 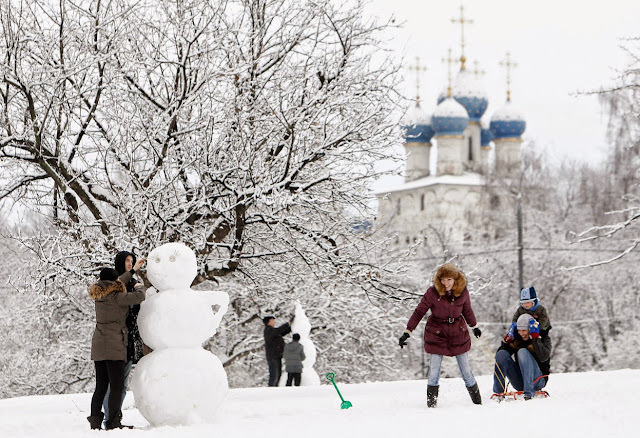 Kids in Russia love it when the temperature dips below -25 C because that means they don’t have to go to school. Of course, they don’t stay home all day, either. As soon as they hear the news, kids yell “Ура! Не учимся!” (Hooray! No studies today!) and go outside to play. I’m from a city that’s something of a laughingstock due to the miserable condition of the roads. 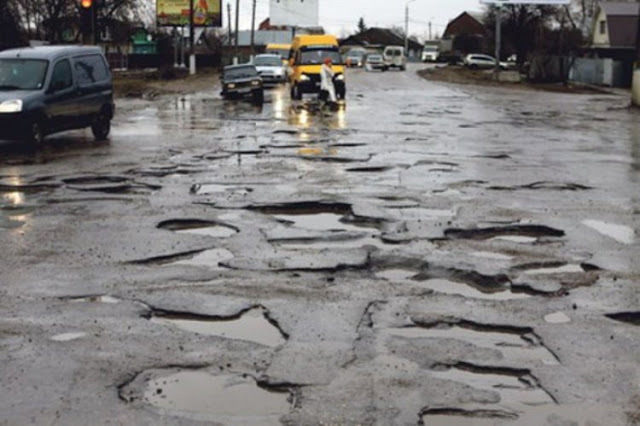 Foreigners don’t always believe pictures of Volgograd roads. Some of them look so bad it’s impossible to believe anyone can drive on them. Here are some words to describe potholes: яма, канава, выбоина, дыра. Can you think of any other words? I’m from a city with Russia’s longest street: Улица Вторая Продольная (Second Lengthwise Street), which stretches more than 50 km. The city is even longer, extending 70 km along the Volga River, while no more than 3-5 km wide. It’s an incredible length for a city with just 1 million inhabitants. I’m from a city with an underground tram. The tram starts above ground, then drops into a tunnel for several stations before re-emerging into the fresh air. It’s known as скоростной трамвай (a high-speed tram), though it’s really just a cheap subway imitation. There were only two underground trams in the entire USSR: one in Volgograd and one in Ukraine’s Kryvoy Rog. I’m from a city with the tallest statue in Russia (previously in the entire world): Родина-мать or Мать Родина (the Mother-Homeland), which towers above Мамаев Курган (the Mamayev Kurgan). The sculpture is 85 meters high and holds a 33 meter high sword. Supposedly, you can fit a car on the statue’s outstretched palm. It’s hard not to feel incredibly small when you are standing underneath the Mother-Homeland. Why was the statue built? If you want to find out, spend some studying what happened during the Battle of Stalingrad. I’m from a city with Зал Воинской Славы (the Hall of Military Glory), also known as the Пантеон Славы (Pantheon of Glory). It’s a gigantic concrete building: 30 meters high and 40 meters in diameter. There’s an enormous Вечный Огонь (Eternal Flame) at the centre of the building. When I was a boy, I could walk to the Hall from my house. My friends and I loved to watch the guard of honour marshal in front of the building. What do you think is on the walls? 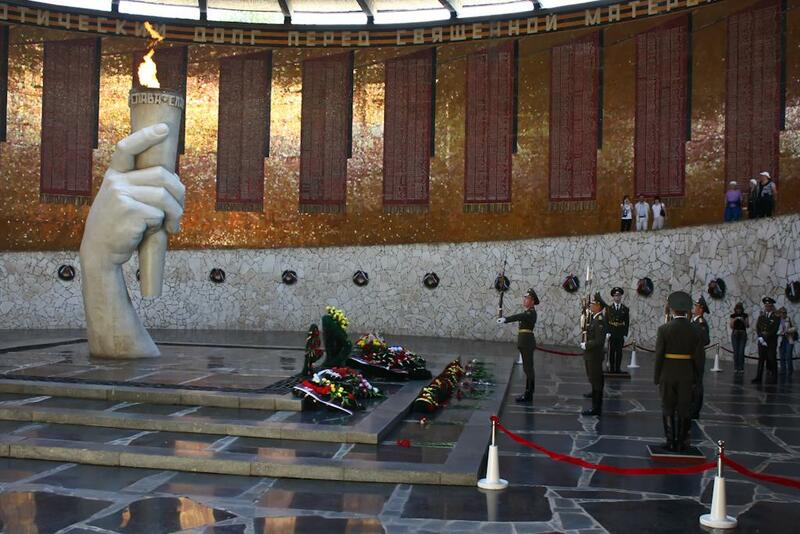 Thousands of names inscribed in gold letters honoring those who died during the Battle of Stalingrad. Sadly, not all of the names could fit. It would take at least 100 such buildings to honor everyone who died in Stalingrad during the war (and that’s just the Soviet casualties). I’m from a city that was defended by my grandmother. 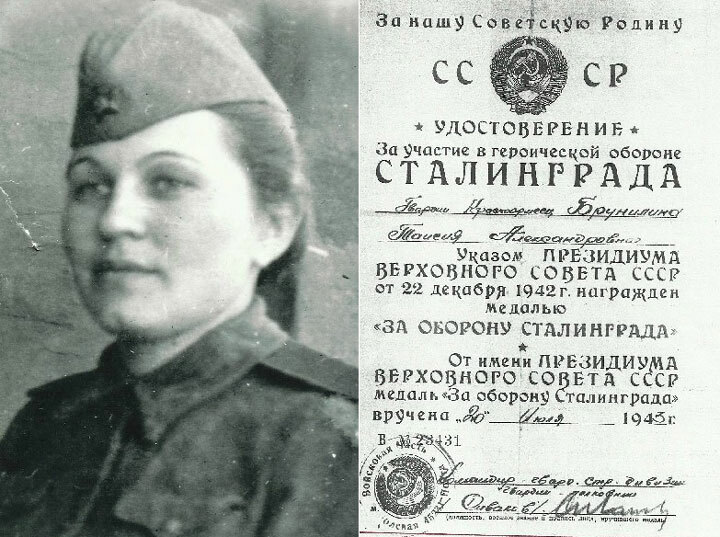 She was 19 during the Battle of Stalingrad. When I was little, I would play with her medals and she told me about the war. I always liked her story about crossing the Volga and watching the water burn. But the city was restored and the name Улица Мира (Peace Street) given to the first street. The central square was named Площадь Павших Борцов (the Square of Fallen Fighters) and the avenue leading to the Volga was named Аллея Героев (the Avenue of Heroes). The city also has a lot of names like 8-ая Воздушная which honors the 8th Airborne Division. Another example would be 7-ая Гвардейская meaning the 7th Guards Division Street. 10. Must Be Visited A.S.A.P. I’m from a city that needs to be visited as soon as possible. It’s a beautiful, well-planned city and was built as a memorial to the war. The city was very popular with photographers and many beautiful postcards were printed. But in recent years the architecture has been corrupted: now we have ugly shopping centers and horrible roads everywhere. There is still lots to see, but you need to hurry before it’s too late! Do you know how to tell a story about your city? Or do you still feel stressed about saying anything in Russian? I can show you how to avoid stress when speaking Russian and how yo can make your Russian fluent and smooth. 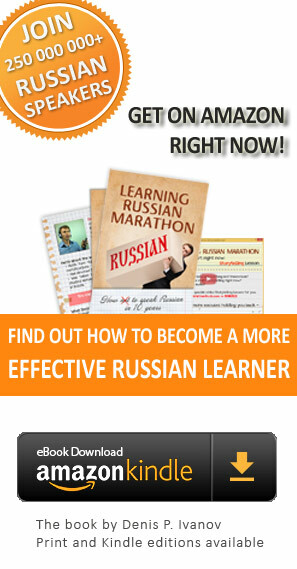 Just get in touch and let me know if you’d like to become an effective Russian language learner. I know this didn’t turn out to be a very linguistic article. 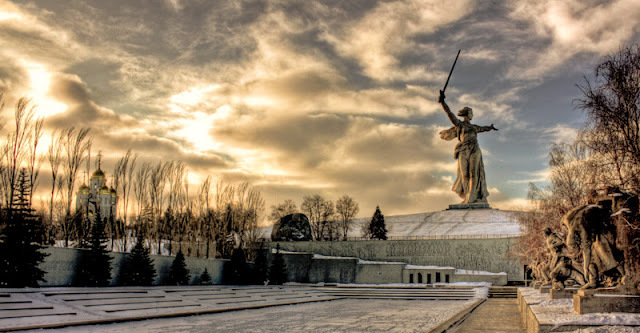 Instead of breaking down the phrase “Откуда Вы?”, I took you on a virtual tour of Volgograd. As you can see, my town is far from perfect, but for me, it’s the best place to be! 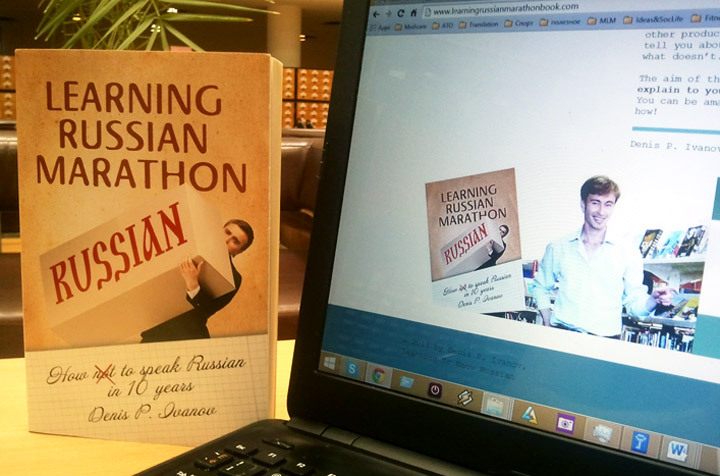 This is the perfect place to finish writing the final (and most important) chapter in the Learning Russian Marathon: How not to speak Russian in 10 years" book. That’s what I’m doing right now. And of course, I’ll be happy to share this book with you once it’s published. >> Get the book from Amazon.